Secure Enterprise Archiving Software provide an easy access archiving solution for enterprises. SEAS store and manage information related to enterprise Staff, Partners, Employers, Contractors, Tenders, Offers, Contracts, MoUs and Contacts. SEAS can store and manage any contact. With enterprise scalability SEAS manage business contact based on retention policies, provide audibility and immutability to meet a broad band of regularity mandates, store information in a secure form limiting its access only to authorized users and store information for as long as required and provide easy and fast accessibility. SEAS is cost-effective and secure. 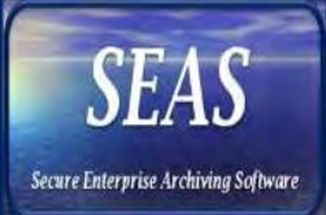 Unlike any other archiving solution, SEAS’ unified approach to application archiving reduces cost, satisfies compliance regulation and provides an efficient and scalable enterprise solution.